Neem Capsules are purely 100% Vegetarian, effective in various skin problems. Divine Remedies is one of the best quality suppliers and manufacturers of Neem Capsules and Neem based products. Neem is nature's best anti-biotic without any side effects. Neem Capsules are best natural Remedy for Acne. The dosage for Acne is 2 capsules twice daily. Neem cleanses the blood and removes acne within few days. There are many traditional uses of Neem, other than Acne which are described below. Neem is an excellent natural remedy for psoriasis. 2 Capsules thrice daily, used for 2 months help in reducing the scales very much and helps in curing the problem of Psoriasis permanently. 1-2 Capsules twice/ thrice daily for 1 month, after meals, with plain water. Acne is a problem caused by excessive hormonal imbalnce or fire energy imbalance leading to pimples. The impurities in blood erupt as tiny pimples or pustules on skin or face. Neem acts as a natural soothing and blood purifying herb. Regular use of Neem for 15-20 days clears away the skin and brings back the natural glow. Neem has important role to play in Psoriasis. The lesions clear away after regular use of Neem capsules for 2-3 months. The reasons for Psoriasis in Ayurveda is again the accumulation of toxins and impurities within the blood. Neem is nature's best blood purifying remedy. Neem capsules in the dosage of 2 capsules twice daily, after meals, with plain water helps a lot in clearing away the Psoriasis lesions. 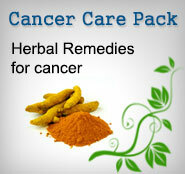 It is used as a tonic and astringent that help in wound healing. Neem's has a detoxifying benefits that help maintain healthy circulatory, digestive, respiratory and urinary systems. Neem extracts possess antidiabetic, antibacterial, and antiviral properties. Neem is bitter and alterative. It is used as a poultice in boils, is antiseptic, demulcent, a tonic in catarrhal affections, stomachic, stimulant. Neem is useful in snake bite, scorpion sting, hypoglycemic, in rheumatism, as an analgesic, antipyretic, sedative, antibacterial, antiprotozoal, antiviral and anthelmintic. The bark has a astringent effect and is beneficial in malarial fever and useful in cutaneous diseases. Neem is one of the most powerful blood purifiers and detoxifiers, useful in acne, eczema, psoriasis and many other skin ailments. Neem's enhance the immune properties as a booster of the macrophage's effectiveness Neem boosts the immune system by energizing lymphocytes cells to respond to infection. 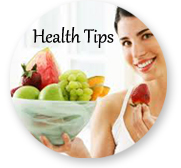 The leaves have antifertility properties Neem is used to brush teeth as far dental care is concerned. Neem oil is used for cosmetics purposes in the form of soap,shampoo and cream. All parts of Neem is used for various medical prepration. Neem has great importance for anti-desertification properties and possibly as a good carbon dioxide sink. Neem is a drug of choice for skin problems such as acne, rashes and early aging. Neem is also used in househoid as a biopesticide. Neem is also effective in scabies and lice and worm infestation.